Audrey Hepburn brings all her formidable skills to bear in this instant suspense classic, adapted from the hit Broadway play by Frederick Knott (Dial M for Murder). And the shivers come stronger than ever in this crisp and clear Blu-ray edition. 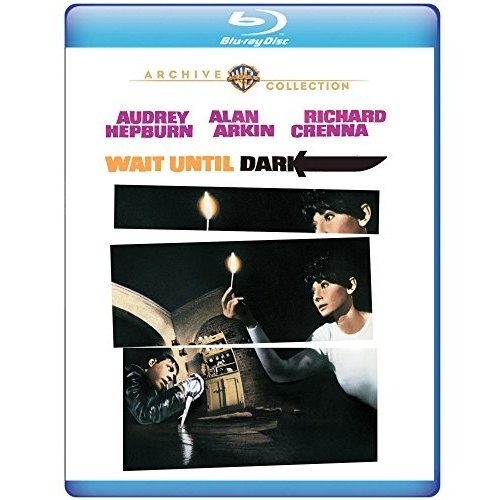 Hepburn plays the recently blinded Susy Hendrix, whose journey to self-reliance hits an unseen obstacle in the form of a trio of criminals, a pair of conmen (Richard Crenna and Jack Weston) and a certifiable psycho (an electrifying Alan Arkin). Believing a doll stuffed full of contraband is stashed somewhere in Susy's apartment, the trio subject her to a torturous game of cat and mouse in an attempt to uncover this hidden treasure. Directed by Terence Young and produced by Mel Ferrer.